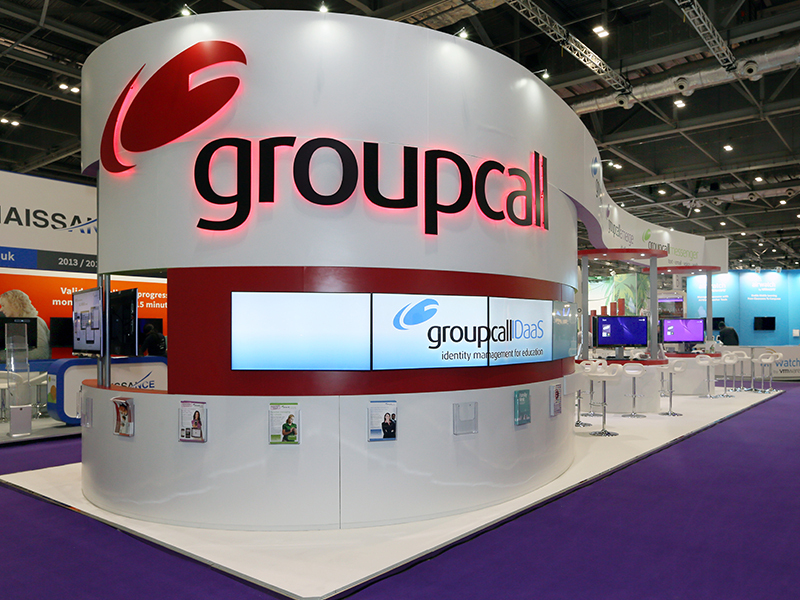 Co-founded by Sir Bob Geldoff, Groupcall provide communication and data solutions to the public and private sectors, as well as the education sector, where they are considered industry leaders. BETT is is the single largest and best attended education exhibition in the UK, bringing in around 35,000 visitors each year. 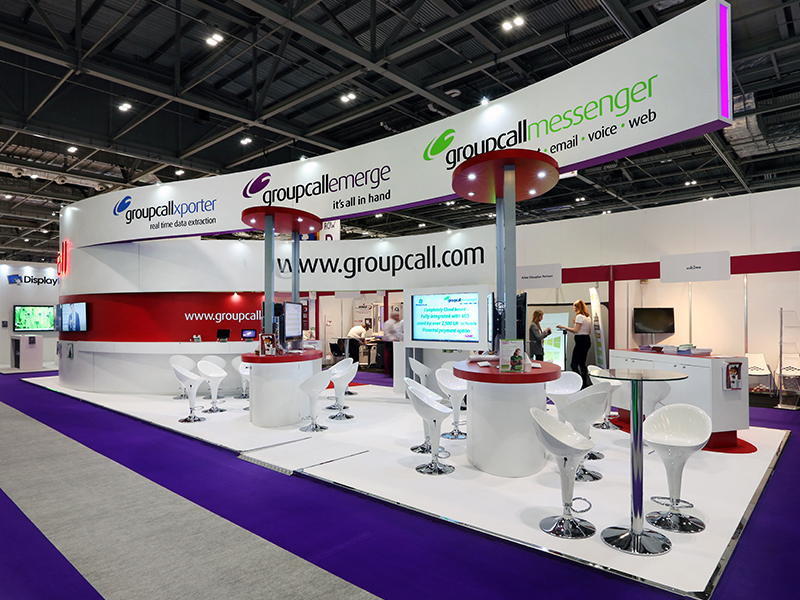 As such, our challenge was to provide GroupCall with a stand that elevated them from the hundreds of other exhibitors in the same space, while still demonstrating and inciting discussion of their key products and services, with more than enough prominent GroupCall branding featured throughout the stand. Given BETT’s levels of attendance in previous years, we knew the stand was likely to be extremely busy throughout the event’s duration, and as such, we made sure to leave as much floor space as was physically possible for demonstrative purposes, all without compromising when it came to the number of branding opportunities we could make use of. Four ribbons stretched across the stand, each representing one of the four key products being shown off within the stand’s confines. 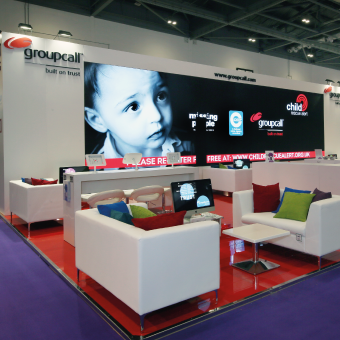 Each product had its own bespoke demo area, including a sit-down meeting area connected to a separate LCD screen for guided demonstrations as well as more traditional walk-up demos. 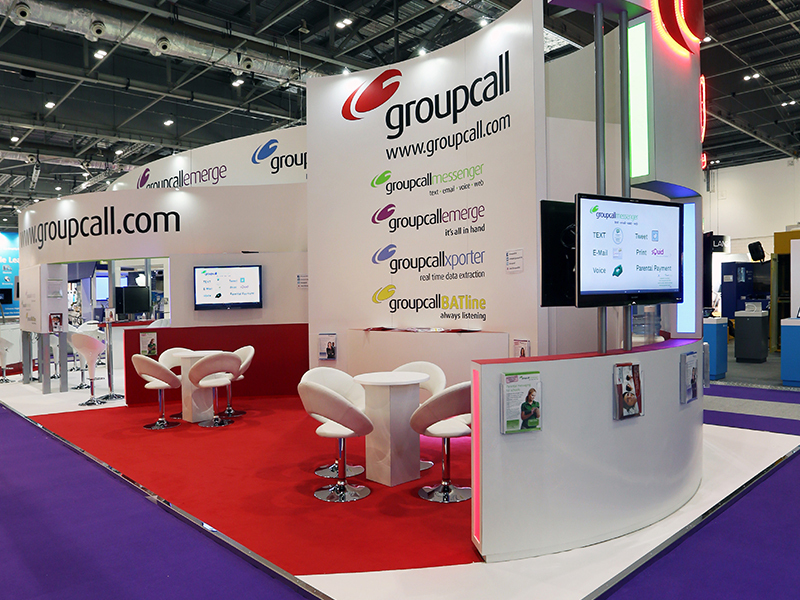 We were delighted to be asked to reinstall the exact same stand at BETT 2015 as well, though based on our experiences at BETT 2014, we made a few minor tweaks to the stand layout – namely increasing the size of the store area, providing a closed-off area for GroupCall’s IT team to control the stand’s demo stations and so on. 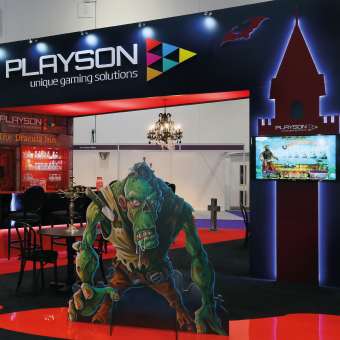 Other than that though, the stand was exactly the same, and continued to exceed expectations in the number of visitors it brought in and leads that it generated.